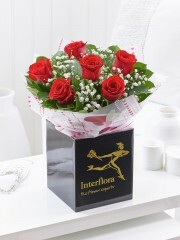 Stonehaven flowers have a luxurious selection of roses available all year round. 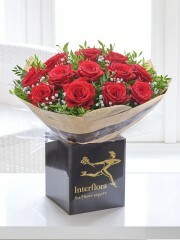 Varying in size and colours roses are a classic and timeless flower that are amongst the nations favourite flowers. 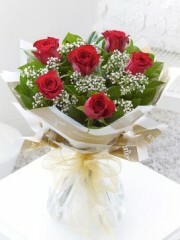 Many people love roses, with their delicate scent and lovely petals, rosrse are a safe and elegant option for anyone. Red roses are a great way to express your love for someone, whether you want a bouquet of only roses and some lush greenery or would like a bouquet with mixed flowers to include roses, Stonehaven flowers have many bouquets which will surely suit any of your desires. All of our bouquets are made to order and our team of expert florists from Stonehaven flowers will take time and care to make sure your flower order looks beautiful. 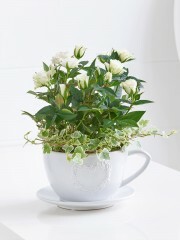 We have a range of gifts vailabe to be delivered with your flowers to suit every occasion. From wine to chocolate and Teddies to champagne we have almost everything you can think of to make your gift extra special. Our delivery options at Stonehaven florist are designed to be of the most convenience, so whether you want your flowers delivered to home or a work place, now or tomorrow we can fulfil your request. 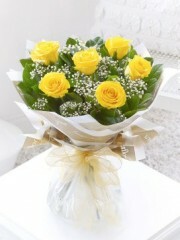 If you place your order with us before 3pm you have the option of same day delivery with your flowers and gifts. We offer standard delivery for next day or future delivery too if there so hurry. 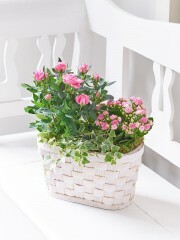 Should you have any questions for Stonehaven florist you can call us or email us and one of our team will be happy to fill you in on any information.